Picture book #24...oh this is soooo cheating. Synopsis: A historically accurate cartoon adventure starring Lewis and Clark. This book focuses on the start of the journey, as well as some strange medicinal practices, i.e. the bottle of thunder. Sure, I did this story last year on the blog--scroll back a ways, you'll find it. You can read the whole story, find out about the bottle of thunder and everything. It's cheating, I know, but I've got soooo much on my table right now. I have several paintings due today, as well as a certain robot/holiday book due right around the corner. I'm not going to pretend that for a moment there, I wasn't incredibly excited thinking you were writing the graphic novel of Lois and Clark: The New Adventures of Superman. I see now that you're not. 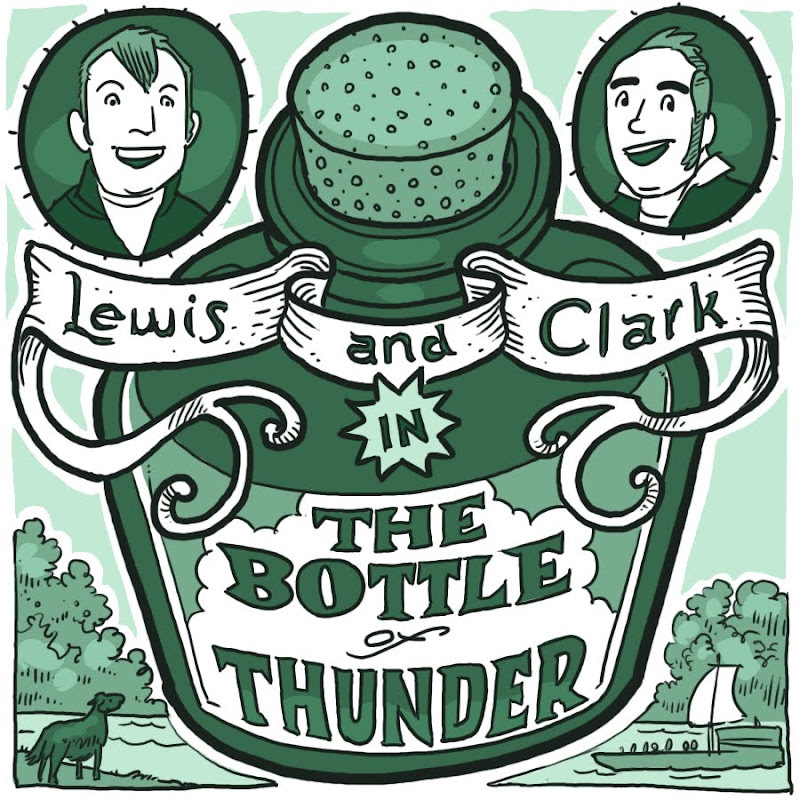 HOWEVER, I love the title, I love Lewis and Clarks's faces and I love the fact that in scrolling back to last year, I have more stuff to read when I'm supposed to be filing this afternoon. Bravo, sir! Oh, I always thought this should be a book. This story is hilarious, and of great historical importance! What a great story! This story was right up there with Chuck the Lazy isopod, both are educational and funny at the same time. I'd love to do the whole Lewis and Clark journey in this cartoon style--but then again, this story stands on it's own okay too. See, not long now until we see the outline of your hand with the "Provo Turkey Emergency" title attached. Of course recycling is good for the environment. And I do so love the Lewis and Clark Story.